I write my first blog at half time of Argentina against South Korea. An exilerating first 45 minutes of the second of the second round matches in the group phase. Amongst all the griping and moaning about the opening set of games, we've finally had a few goals. 6 already with the 3 slapped past the hosts last night by Forlan and co. I can't help but think about how many we're going to put past Algeria after almost falling asleep in their abysmal opening performance. Particuarly with Barry's return, meaning our natural shape that Capello likes is restored. We're going to need a lot more misfortune than we had in the USA game for us to drop points tomorrow night. In other news, the new football league fixtures have been announced today. It seems the renewal of my season ticket brings an old favourite of mine back for me to applaud on the opening day. 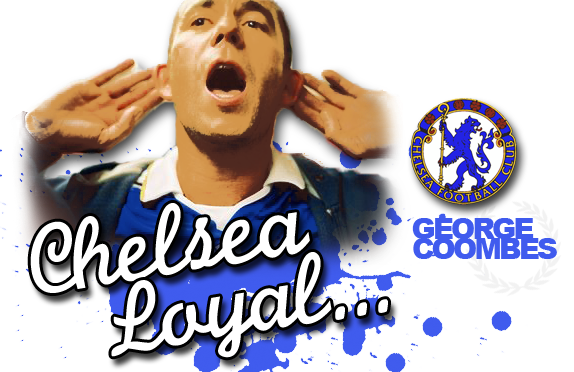 Robby Di Matteo scored an unforgettable goal on the day Chelsea won their first trophy in my lifetime, and I'm sure I wont be alone in the Matthew Harding to show our respect for a former hero. The first stand out fixture for myself and many of my mates is West Ham away on September the 11th of all dates. My favourite away day arrives earlier than usual this season, and the bulid up amongst my friends can start now. Anyway, the second half is finding its rythem again.. I'm a 22 year old Chelsea fan born and bred in South Leicestershire. I graduated from the University of East London at the beginning of this year.